Pan de Manila is introducing a new store interior design to give a new experience to its customers. There is something ‘fresh’ in Pan de Manila and it’s not only their piping hot pandesal baked every hour. 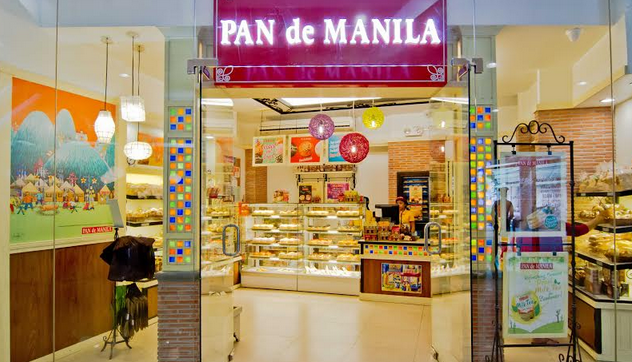 Once you step inside Pan de Manila’s new outlets such as the one located in Market! Market! in Taguig City, you would surely notice a ‘fresher’ and brighter interior that invites you to stay longer—and perhaps, even sit down longer to savor a cup of coffee and enjoy an ensaymada. 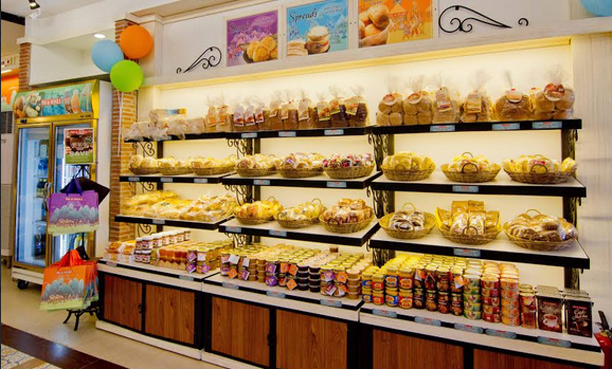 Yes, the ‘new’ Pan de Manila is no longer just a place to buy your favorite breads, spreads and other products. From a typical community bakery-style store that evokes the images of Old Manila, the pandesal chain now carries a youthful vibe with its bright interiors. It has even a café corner to invite you to enjoy hot pandesal paired with a hot drink right inside the store. White-washed walls and shelves, adorned with special accents, give the new interior a more modern and breezy look. As the early morning arrives, the Pan de Manila outlet comes alive as daylight enters. Its youthful color scheme of red, orange, with some touches of blue and yellow will surely brighten up your day! The radiance emanating from the store gives it a welcoming appeal, attracting people who are about to start their day at the office and the senior crowd who want to come in, sit back, and enjoy their freshly-baked goodies and hot drinks. Table ledges, stools, and chairs are now installed inside the stores for more comfort. As diners read the day’s newspapers or browse through their smartphones, they can also discover the wide array of products at the shelves and bread counter displays. Visitors are also greeted by posters of Pan de Manila’s latest products and promos, neatly showcased against the walls or featured in laminated white-washed frames. 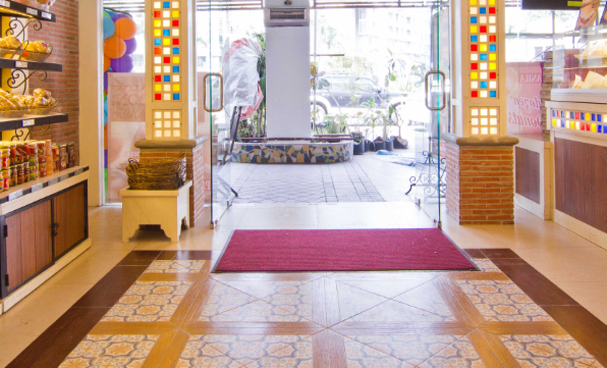 Despite the design upgrade, Pan de Manila has retained some of its original design elements. Loyal customers will be glad to know that wrought iron details, textured wood accents, red brick columns, capiz tapestry, and colonial-inspired tiled flooring that mimics the appeal of Spanish-style patterned Machuca tiles were retained. As the company sees it, this is its timeless appeal that will never go out of style. One striking interior feature is the brightly-colored, capiz tapestry that adorns the main storefront as well as the counters. Designed to welcome patrons in style, the individually hand-painted capiz detailing also serves as a charming and functional back-lit store panel. The new Pan de Manila store design also allots space for unique Filipino art done by some of the established and up-and-coming painters and artists. Customers will be treated to a visual delight with posterized artworks depicting various colorful and festive countryside scenes by artists Jovan Benito and Amador Barquilla. The ‘fresh’ new look and feel of Pan de Manila can be experienced in several outlets in Metro Manila, Luzon, Cebu, Bacolod, and Iloilo.